If you often lie in bed with thoughts rushing through your mind, it may be beneficial to write in a journal and put your thoughts and ideas on paper before you go to bed. This way, when you go to sleep, your mind will be free of all the thoughts that keep you awake, and it will comfort you and help you feel relaxed. If you exercise for at least half an hour every day, you will likely sleep better. However, do not exercise too close to your bedtime, as it may elevate your heart rate and keep you awake. You should have the same schedule of when you go to bed and wake up every day, including Saturdays and Sundays. This helps your body develop a cycle and helps you to rest and get up each day. Always have a good and stable routine that will help you get better sleep. Having even the slightest bit of light in the room can affect your circadian cycle and melatonin production in your pineal gland. This can disrupt your sleep, so try getting light-blocking curtains or wear an eye-mask to help you sleep better. Eating before you go to bed can raise your blood sugar level and prevent rest. Eat smaller meals several times a day in order to regulate your blood sugar and avoid getting too hungry. Eating well can help your body sleep better. Numerous individuals who experience difficulty sleeping at night are regularly disrupted by the slightest noise or light. Try to limit all sounds in your bedroom, and even consider sleeping with ear plugs to limit disruptions. A great way to improve the quality of your sleep is to invest in a comfortable mattress that works for your body. Old mattresses get worn out, and they can be truly uncomfortable in addition to causing back problems. Try out a few different types of mattresses and figure out which one is most comfortable for you. You won’t regret it! A recent study found that some people do not properly digest caffeine-containing beverages and therefore feel the results long after consumption. So a midday cup of coffee (or even tea) can keep some people from sleeping. If this applies to you, try to avoid caffeine during the day. 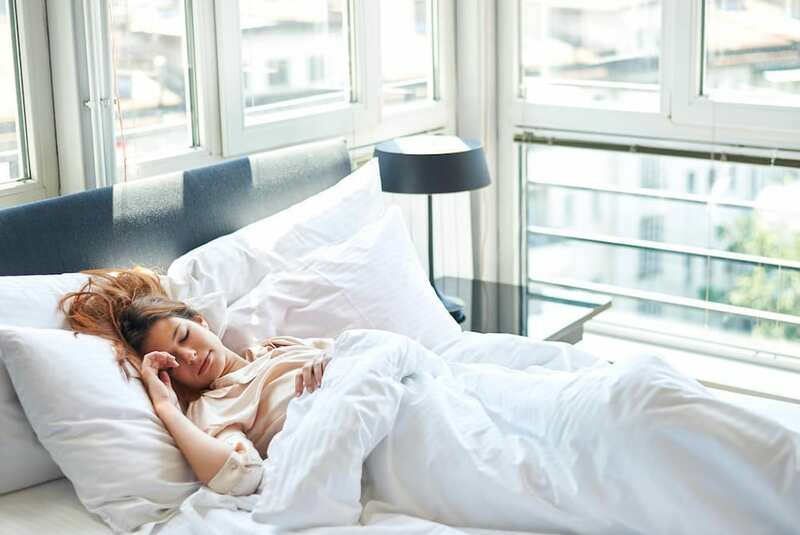 If the temperature around you is increased in the evening hours, your body temperature will drop when you go to bed, which can help you sleep better. Taking a hot shower before you go to bed can also help relax you, which will help you fall asleep more easily.